People always ask me what happens during a professional styling session. I can’t speak for other stylists out there, but I make three commitments to my clients. First off you are going to have fun and feel good about your body. You are beautiful and I'm there to help you showcase that. Second, you will learn something. 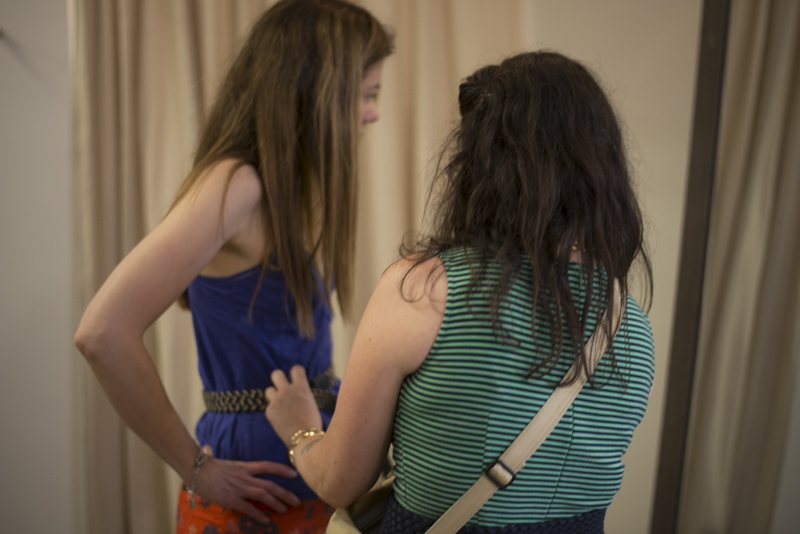 I educate my clients about which shapes, colors and accessories work best for their intended look and their body as it is today. Lastly, you will feel comfortable in the clothes we choose together. I have no interest in stuffing you into super Spanx and forcing you to stand all night because that's the only way the outfit looks good (and the only way you can breathe, lol). 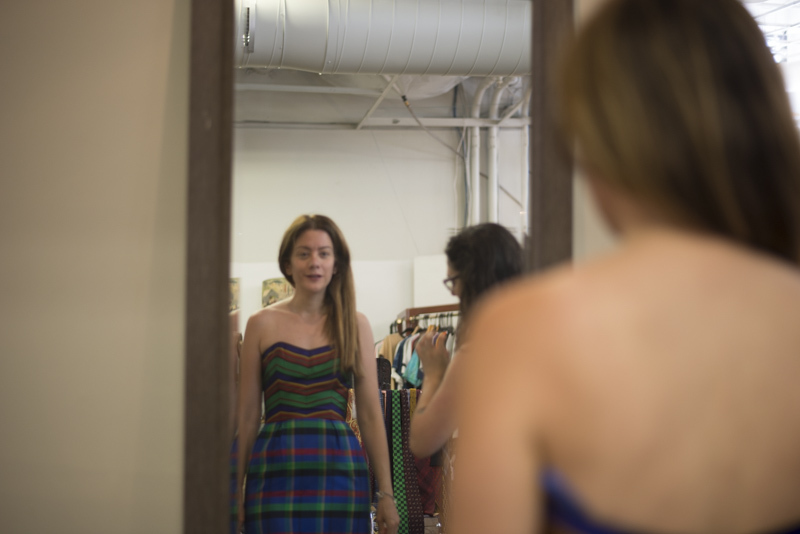 On that note I took Patty (and Ashley who took terrific photos) vintage shopping to get her fun and versatile outfits for networking events that will transition from summer to early fall. 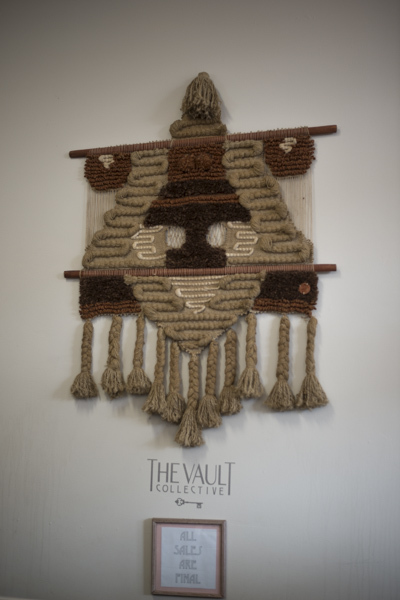 We started Downtown at The Vault Collective. 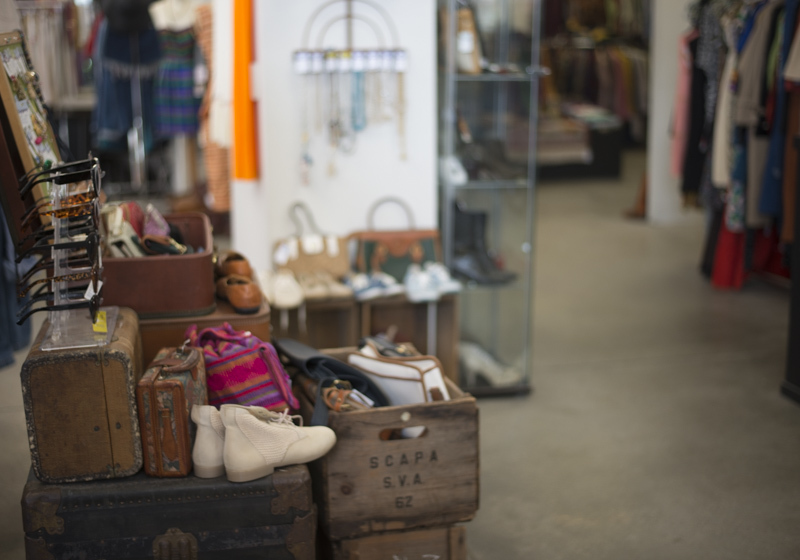 A great open space with a wonderful variety of sizes, accessories and vintage goods. 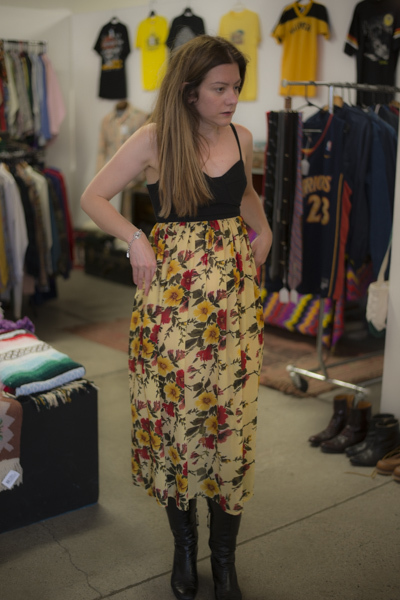 Also, Ruth, the woman who owns it, is lovely and very helpful, especially with picking items with a good fit, the biggest challenge when it comes to vintage shopping. For Patty’s skin tone and eye and hair color I wanted to put her in ultra saturated jewel tones (ruby, citrine, amethyst, emerald, sapphire, garnet, etc) and deep or bright neutrals. This allows her features to pop rather than wash out. Vintage pairs well with vintage...We also had fun pairing some of the awesome shoes they had in store with the fun dresses we found. And Ruth was spot on in reminding us that vintage shoes typically run a size small. 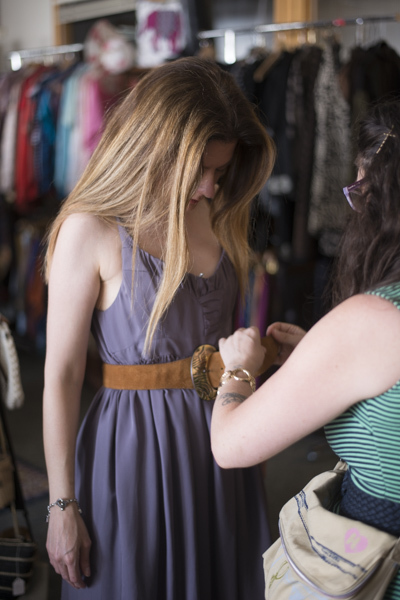 Belts over dresses are an essential style tool when it comes to women with pear (Patty) or hourglass (me) shaped bodies. They help us accentuate our natural waist (the smallest part of our body) as well as break up a color or pattern nicely. 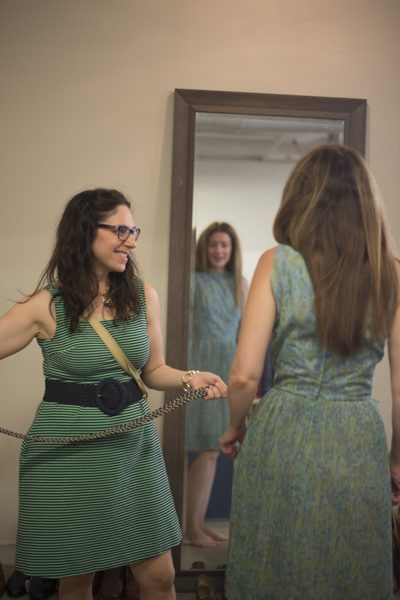 Belts also help quite a bit with vintage dresses in aiding the right fit: Most of us are too lazy or frugal to bring the stuff we buy to the tailors, so a belt can cinch the waist similarly to getting it altered. 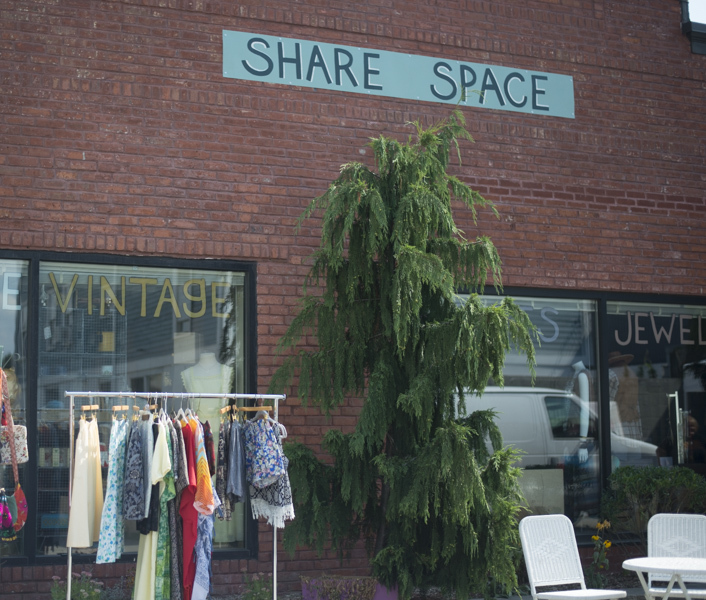 Wanting to check out a little more of what Providence has to offer vintage clothing wise, we headed over to Share Space on Broadway next. 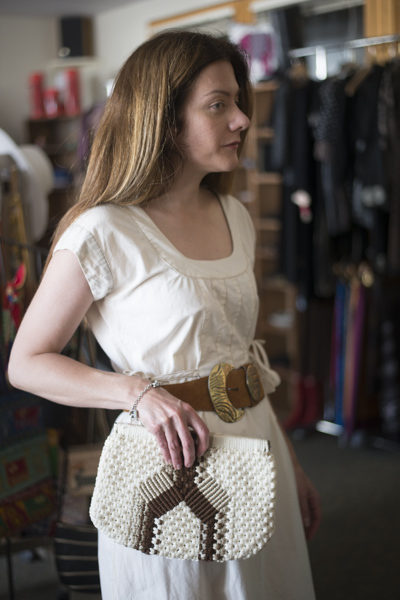 The accessories really shined there, especially this amazing shaped leather belt we found that literally works with anything!!! 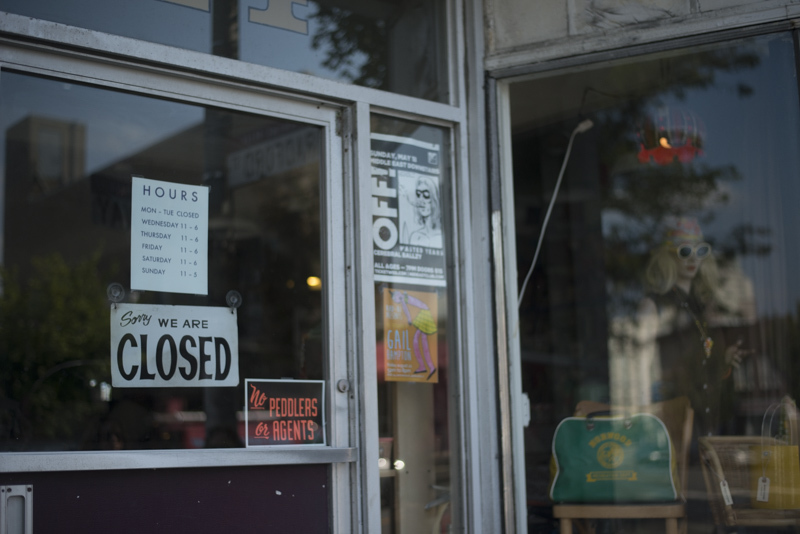 We wanted to shop Rocket to Mars (right next door to Share Space), but they were closed. 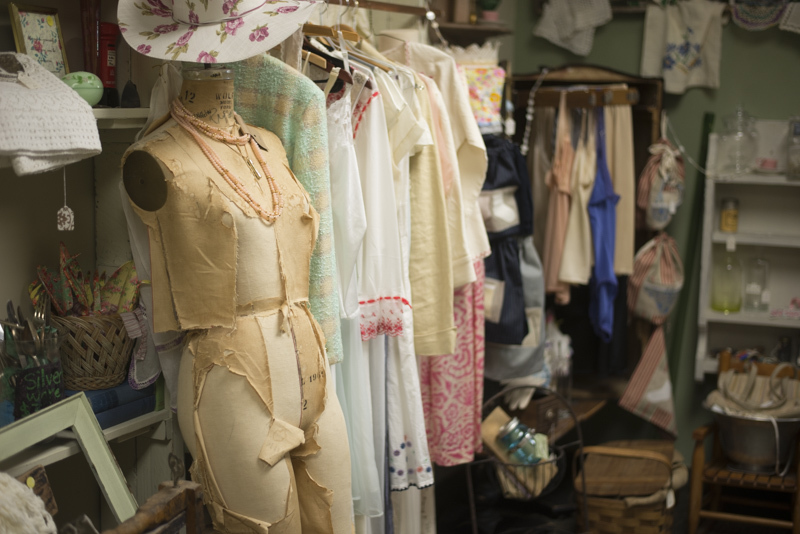 If you get a chance to go, check out their fantastic collection of vintage fabrics as well as the clothes and furniture. Exhausted from the humidity and hard work, we wrapped things up with smoothies from The Grange. Right down the street and so worth the treat! To explore more of Providence's vintage venues for yourself, pick up one of the handy guides in the photo above. 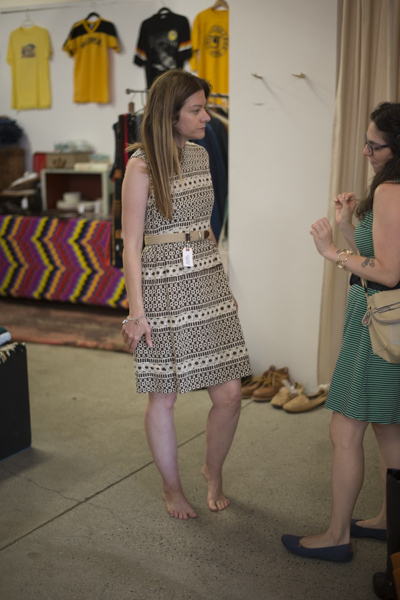 And, there are so many options statewide, expect to see more vintage shopping and styling posts from different cities and towns around RI in the future. *Got a favorite vintage find? Let us know about it in the comments below. 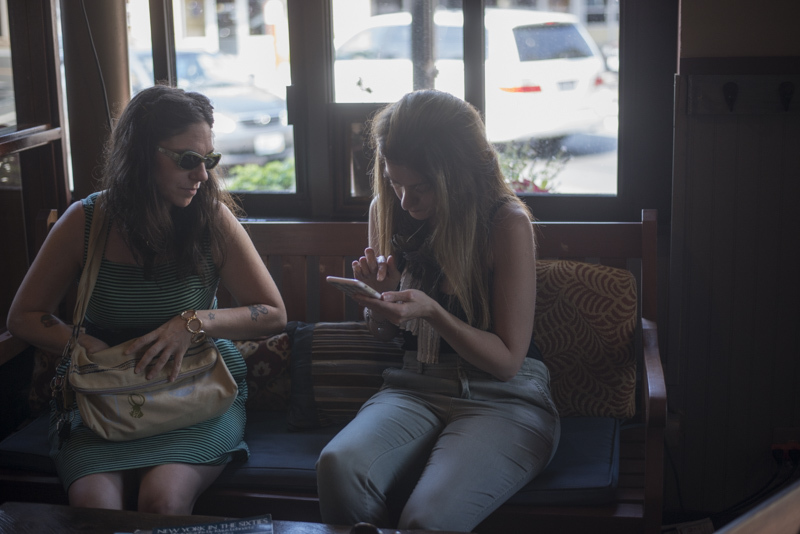 Brooke Erin Goldstein is a Creative Professional living and working in Providence, RI. She has a BFA from RISD, majoring in textiles. Brooke worked in the fashion industry for 5 years before starting her own businesses. Since then, she has been working for herself providing personal and creative services for over 10 years. Find her on FB by clicking here. Photo Credits: All photos courtesy of Ashley Farney.